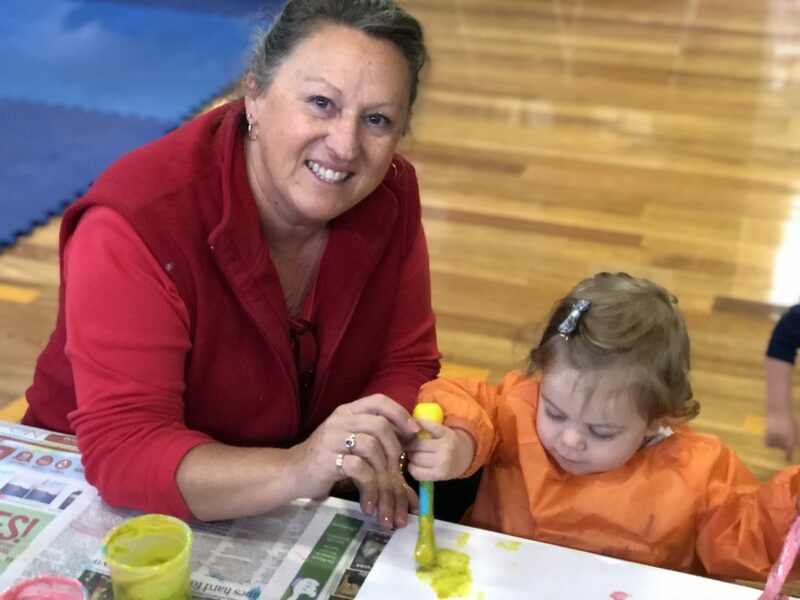 North Ringwood Playgroup is philosophically and structurally committed to having the presence of a paid, qualified attendant at all sessions. Both our attendants are trained in first aid, have a working with children’s check and successfully completed the Victorian Department of Education and Training course on the updated Child Safe Standards 2015. The role of the attendant is to create an engaging and appealing environment in which parents and carers can spend time with their children. The attendants role includes setting up equipment, toys and craft activities prior to the session and packing it all away at the end of the day. During the session the attendant is available to help parents with enquiries, ensure there is always a range of craft materials for children’s use and administer first aid as required. Their role is also an administrative one and includes orientating new members, directing fundraising events and making sure that notices are passed to members from the committee. Even though the attendants do the bulk of the work, the parents and children are asked to help tidy up for snack time in the morning session and in the afternoon session to help carry things to the storage areas for the attendant. The children actually enjoy helping and it teaches them about team work. North Ringwood Playgroup is a non profit organisation that is run by a committee of volunteers. All positions are declared open at the AGM in October each year. Being part of the committee is a great way to meet other parents and get involved in making North Ringwood Playgroup a wonderful place. Andrea is our wonderful dedicated attendant on Wednesday’s and Thursday’s. She has a beautiful easy rapport with the kids and a friendly, approachable, understanding relationship with the parents. Andrea has two children herself albeit older. Andrea has been a volunteer working for over 10 years, in Playgroup, Kindergarten, and Primary School, where her children attended. She has also been an active member on the Parents and Friends Committee at her son’s Primary School. Andrea is a master of remembering names and faces and always makes every member feel welcome. Marianela or Mari as she is affectionately known to our members and children, is our attendant for the Monday and Tuesday sessions. You will know her through her enthusiastic and positive personality when she greets you at the gate. Mari has a diverse skill set in working with children. She has been a childhood ski instructor, a nanny, a child care Assistant Manager, coordinated the ‘mums, bubs and tots program as a CrossFit Box Manager and has a Certificate of Education Support to be a Teacher Integration Aide. 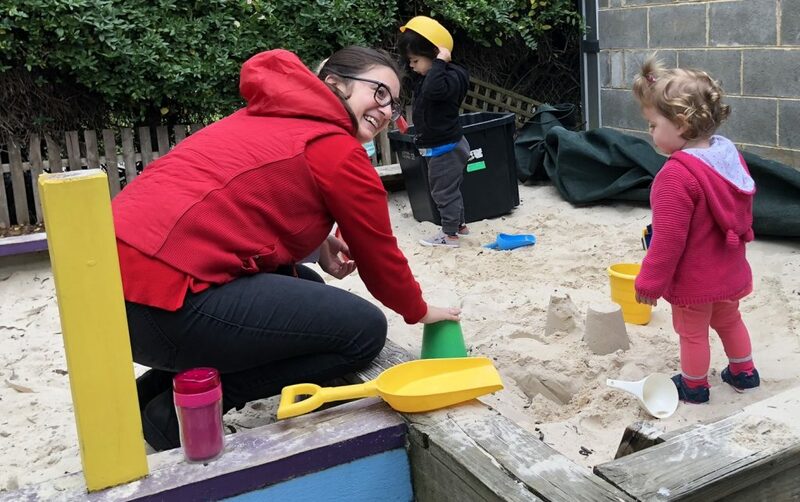 As a mother of two young preschool aged children herself, Mari knows firsthand how valuable the playgroup experience is for children and their carer’s. With her positive attitude she endeavours to create an environment for equal opportunities where the children and their carer’s feel welcomed, supported and happy. Here is some fabulous feedback from our members about our wonderful, dedicated attendants…. Andrea is a great leader. She is warm and welcoming and interacts really well with the children. She organises the activities really well and story time is quite interactive therefore keeping the children focused. Andrea, our NRPG attendant, is warm and welcoming. My children greet her with beaming smiles every week. She really takes the time to get to know each child. Her sessions always have a variety of fun activities to share with your child. Andrea is very devoted, giving and patient and the kids love her – just what you’d wish for in a playgroup attendant!